The SF10 family of laser altimeters was designed by people on this forum. Requests for new features and numerous emails about performance and applications has lead to the development of a compact, light weight, rugged design that can be used in many UAV applications. This came out late last year, but I missed it at the time. "Spaxels" are space+pixels, with coordinated multicopters. You can read more about them from Ars Electronica here. This should produce MUCH better video quality, compared to our previous servo setup. Anura, a pocket sized drone for consumers and it can conveniently travels with user whenever, wherever, 24/7. All it requires is your smart phone. More info here. TinyScreen - A color display the size of your thumb! 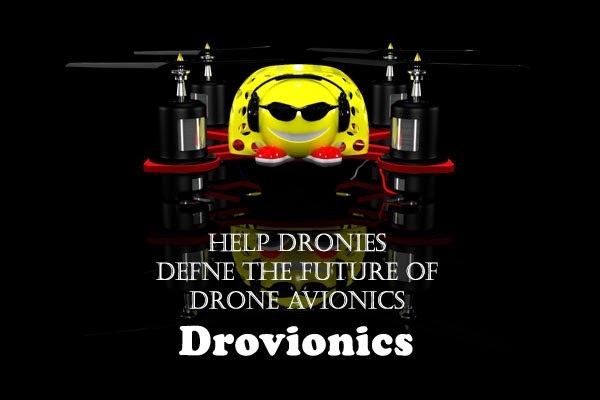 Admin DIY Drones at 58,000 members!